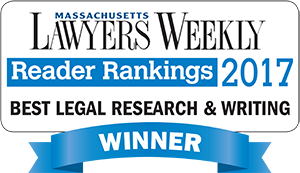 Lawyers' Legal Research & Writing Services in Massachusetts Who owns property which has been conveyed to a failed trust? In a previous post, I explained that when the settlor of a trust fails to execute a schedule of beneficiaries, the trust is void and cannot receive a conveyance of property. That raises the question: who owns property which has been conveyed to a failed trust? Does the property revert to the seller or does the trustee hold it, but in his or her individual capacity? The answer depends on whether consideration was paid for the attempted conveyance. The Court in In re: Callahan, 419 B.R. 109 (Bkrtcy. D. Mass. 2010), after concluding that the trust failed for lack of beneficiaries, held that title to the conveyed property did not revert to the third party transferor, but instead became vested in the debtor, individually, stating, “When the 121 Westwood Road Realty Trust failed, under Massachusetts law, the Debtor took title to the Falmouth Property in her individual capacity.” 419 B.R. at 127. Calnan v. McCarthy, 12 Mass. L. Rptr. 522, 2000 WL 33170094 (Mass. Super. 10/18/00), also supports the conclusion that property conveyed for consideration to a trust which fails is held by the trustee of the failed trust in his or her individual capacity. In Calnan, one McCarthy created a trust and then took a conveyance, as trustee, from a third party for valid consideration. The Court held that the trust was void and decided that title to the conveyed property was held by McCarthy individually. “[I]n the circumstances of this case, no trust ever came into existence and the defendant should be deemed to hold the property in his individual capacity.” Id. at *3. Where the owner of property transfers it upon a trust which fails, and he receives from the transferee consideration for the transfer as an agreed exchange, there is no resulting trust and the transferee holds the property free of trust. Private trusts. Where the owner of property sells it and at the direction of the purchaser transfers the property to the purchaser in trust for a third person, the purchaser and not the seller is the person who creates the trust. Hence, if the trust fails there is no reason why the property should be returned to the seller, and there is no reason why he should not keep the purchase price. The purchaser in such a case can properly retain the property. The situation is the same in substance as though the seller had transferred the property to the purchaser free of trust and the purchaser had thereupon declared himself trustee of the property, in which case if the trust fails the purchaser can retain it free of trust. Commentators have reached the same conclusion, stressing that the presence or absence of consideration for the conveyance determines who owns the property. If an owner of property gratuitously transfers it and properly manifests an intention that the transferee should hold the property in trust, but the trust fails, the transferee holds the trust estate upon a resulting trust for the transferor or his estate…. There is no resulting trust in favor of a transferor who received consideration for the transfer in trust. If the transferee paid the consideration and thereupon held the property in a trust which failed, the transferee can keep the property — there is no resulting trust — for otherwise the transferor would be unjustly enriched.” (Emphasis added, footnote reference omitted). 14D Mass. Prac. Summary of Basic Law, § 18.39 (2014). See also Bogert, Trusts, 6th Ed. (West Pub. Co., 1987), § 75, p. 283 (“[The transferor] cannot reasonably be said to have intended a return of the property, after having been paid its value, if the trust failed. 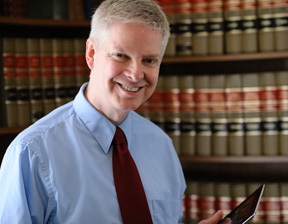 He must be deemed to have intended that the trustee retain the property as his own.”); Bogert’s Trusts and Trustees, § 468 (2014) (“The court of equity must decide what shall be the disposition of the subject matter of the trust which has failed. If the transfer in trust was for a consideration paid by the trustee, he is allowed to retain the property because of the certainty that the settlor would have intended such a result and would not have expected a return of the property”). Accordingly, in the normal case where the purchaser has paid the seller to transfer property to a trust of which the purchaser is trustee, a failure of the trust results in the purchaser taking title to the property as an individual.